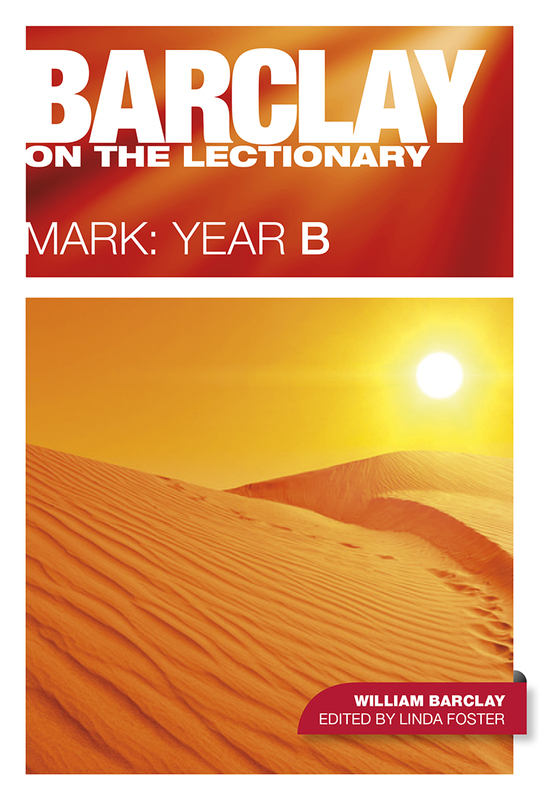 Barclay on the Lectionary Year B Mark is an ideal church lectionary resource for ministers, worship leaders, group and individual study. Drawn from William Barclay's New Testament Commentary this companion to the Year B lectionary (Advent 2014 - Advent 2015) uses the Gospel of Mark as it's foundation text. Based on the Sunday Lectionary pattern of readings set for Year B, these deeply insightful narratives are instantly enthralling and ideal for worship leaders, individuals and groups. In passages drawn from his much-loved, internationally acclaimed commentaries on the New Testament, William Barclay's clear and inspiring explanations unlock the depth of meaning in the scriptures in a way that is designed to guide readers to 'know better their Bible, their God and their Saviour'. Barclay on the Lectionary - Mark Year B by William Barclay was published by St Andrew Press in September 2014 and is our 24403rd best seller. 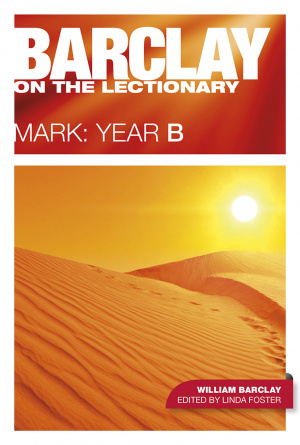 The ISBN for Barclay on the Lectionary - Mark Year B is 9780861537976. A brilliant edition that sits well with the William Barclay Daily Study Bible series, however this time it's a collection of material from these commnetaries that have been collated to cover the Sunday Lectionary readings for Year B. Holding all the DSB/Barclay style as one would expect these are a great addition to any collection for those, either as individuals or as sermon preparers, that want to look in depth at the Sunday readings and it's important to note here that though the books Says Mark: Year B, this book does not cover Mark as such, but covers all the sunday lectionary readings, so yes Mark is in it, as that form the main Gospel Readings, but you have here also the other New Testament readings you encounter on the sundays during Year B services. A very helpful reference or study book. Got a question? No problem! Just click here to ask us about Barclay on the Lectionary - Mark Year B. "The William Barclay commentaries are absolutely fantastic and I wouldn't give up my set for anything." - Steve Chalke. "The distance between then and now, or between Jesus and me, is crossed in a split second." - Richard Littledale. "The Insights series continues to be very special.' - The Good Bookstall. "Thanks to Barclay, I'm now devouring my Bible in the same insatiable way some devour a best-selling novel." - Diane Louise Jordan.